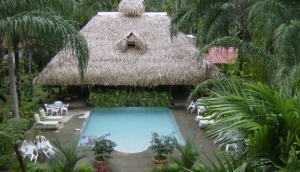 Design your dream vacation knowing that Costa Rica offers accommodations to fit every personality and budget. Enjoy beachfront resorts that cater to your every whim or eco lodges in the jungle where monkeys swing by for a visit, or both. Take a look around our site to find the most up to date information on where to stay and let us know your overall experience with the companies we profile. Your reviews will help lead people to the best places to stay from the mountains of the Central Valley to the furthest shores of the South Pacific and Caribbean beaches.